Bryon Pattullo NEVER gets stuck! ………Proof! Arrived safely in Chapleau a last night. Extreme snow conditions. 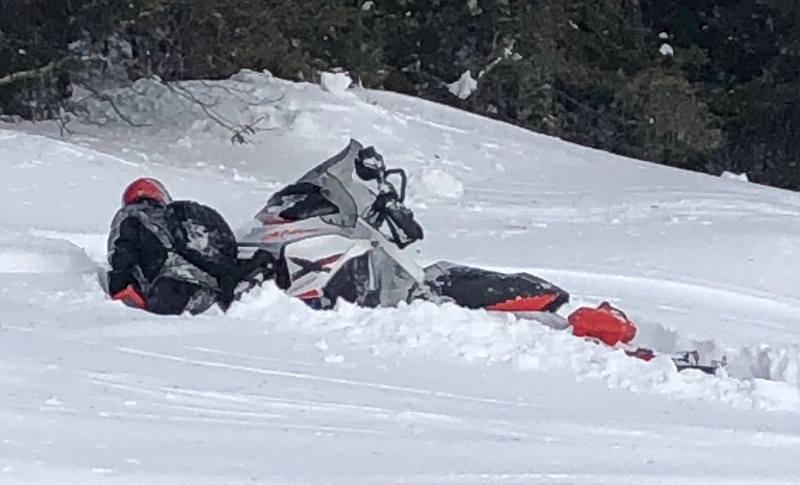 Several sleds got stuck along the way. Our support truck is still stuck in Wawa. Hoping they can catch up to us by tonight. Heading for Timmons today – 166 miles. Will be considerably colder. About zero. Windy so the wind chill is -18. We’ll post more pictures tonight. The provincial police closed the highway. Our support truck can’t leave Wawa. Today we leave Wawa, Ontario, 🇨🇦 in our adventure in northern Ontario. We are headed for the Canadian outpost “Halfway Haven” and then onto Chapleau. 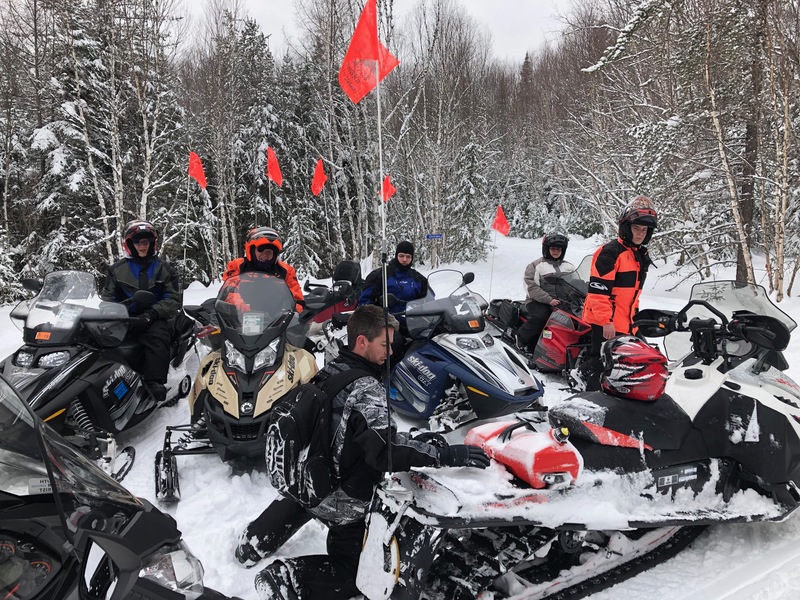 (Courtesy photo) Matthew Pattullo (left) and grandfather George Pattullo will head to Ontario later this month to embark on a 1,000-mile snowmobile ride with additional family members. The annual trek also acts as a fundraiser. The Pattullo family has been snowmobiling for charity since the 1980s, but this is 13-year-old Matthew’s first trip. Each winter, members of the Pattullo family pack up their snowmobiles and head to Canada for adventure that doubles as a charity fundraiser. This year, 13-year-old Matthew Pattullo will make the trek for the first time. This year’s Pattullo crew includes Mathew’s grandfather, George; father, Mike; uncle, Pete; and brothers, Bryon and Nick. The Pattullos will begin the trip on Feb. 23, and are scheduled to finish on March 2. They will ride along a 1,000-mile trail that stretches from about 60 miles north of Sault Ste. Marie. They will ride to the northeast, then to the northwest, and then south, and southeast, arriving where the tour began. Pete Pattullo acts as the trail boss and safety director. Mike Pattullo said the snowmobilers travel between 100 to over 200 miles each day. Each year, the family accepts donations for the trip, which they, in turn, give to charity. This year, the Pattullos are riding for Bluewater Thumb Youth for Christ and juvenile diabetes. Matthew said he rides his 2005 Ski Doo snowmobile quite a bit around the Thumb, usually every weekend when there is snow on the ground. But looks forward to this pumped-up version of his hobby. Although he is ready to roll, Matthew admitted some aspects of the trip make him a little nervous. Specifically a story his father told him about wild animals on the trail from a few years ago. “One of our guys, he was our last rider, called the sweep, out of our group of 10 to 12 riders, and he’s in charge of making sure no one gets left behind,” Mike Pattullo said. “There was a wolf alongside the trail, chasing him and nipping at the sled. So he stopped real hard, the wolf went forward, and then he ran it over with the sled. And, of course, he didn’t hang around to see if there were any more. In addition to wolves, moose and elk roam the area. And minus 30-degree temperatures are common. Fortunately, bears hibernate through the winter and are not an issue. “There’s always a danger of hitting a moose, or an elk, or some large animal,” Mike Pattullo said. “We’ve had deer run along the trail with the sleds because the snow off the trail was too deep. The group’s website is http://www.michcanska.com. Over the course of the snowmobiling trek, the Pattullos will post daily pictures and videos on the site. Matthew also enjoys drawing, building, fishing and sailing and is a member of the Caro Middle School track and field and cross country teams. At the top of the world in Montana!